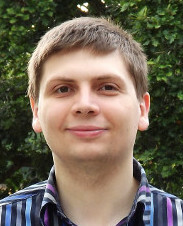 I am an Early Career Researcher in the Computer Science department at the University of Warwick. In 2007 I graduated from the University of Warwick with a Masters Degree in Computer Systems Engineering. In November 2008 I returned to Warwick to study for a PhD, graduating in 2013. My PhD thesis, 'Manual and Automatic Authoring for Adaptive Hypermedia', was published in 2013 and focused on extending the usability and functionality of authoring tools for personalised education. As part of this research, I collaborated on the design and development of the GRAPPLE Authoring Toolset (GAT), for the GRAPPLE (EU FP7) project. Since completing my PhD I have worked on various postdoctoral research projects. I'm currently working on the CONSTRUIT! EU Erasmus+ project, which provides methods of creating open educational resources that serve as 'working models' to allow the learner to further their understanding through experimentation. For further details about my research, please see my Publications page. PhDSpaces - investigating the impact of space (both phyisical and digital) on the engagement of postgraduate students. Seminar tutor / Lab supervisor for CS134: Introduction to Computer Security. Lecturer for CS909: Data Mining. Seminar tutor / Coursework maker for CS411: Dynamic Web-based Systems. Online Lecturer at the University Politehnica of Bucharest, Web Application Development module and Semantic Web module (PHP/MySQL and Adaptive Hypermedia). Lab supervisor for CS126: Design of Information Structures.